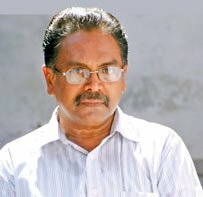 Thirtyfive years after winning the Ilakkiya Chinthanai award for his first short story Viradham, Tamil writer Nanjil Nadan, has won the Sahitya Akademi award for 2010. “I am happy. But I am not in a mood to celebrate. I have always been a critic of the Sahitya Akademi, because I strongly feel that it has neglected good writers. Still, I appreciate the gesture,” Nanjil Nadan told The Hindu from Coimbatore. “I am of the opinion that awards should be given to a writer when he is at his peak. What is the point in giving the award as a retirement benefit,” he asked. In fact, one of his short stories ‘Kumbamuni’ is about a writer who rejects the award. 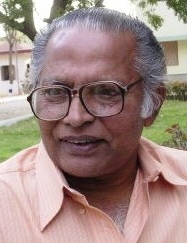 Born as G. Subramaniam, he chose to write under the name Nanjil Nadan, asserting his pride in belonging to the fertile lands in Kanyakumari district. If his earlier works eloquently captured the plight of people uprooted from their soil and forced to eke out a living as best as they can, the characters he came across during his travels across the country as a sales executive are featured in his subsequent works. “Basically his writings vent anger against a society that leaves individuals hungry. He portrays the humiliations and sufferings of people who have had to leave their land and work somewhere,” says novelist M. Gopalakrishnan, who wrote the preface for Nanjil Nadan’s short story collections. Mr. Gopalakrishnan says Nanjil Nadan’s essays are an expression of anger and a criticism of society and the helplessness of the ordinary man. “His style is unique and always succeeds in retaining the reader’s interest,” he says. Humour and satire are the underlying aspects of his works. He effortlessly brings in the style and references found in the Tamil classical literary tradition into his work. Happy to note you have been honored by the award; in this regard I would like to say that many a time awards are influenced and exploited for self-promotion and self-aggrandizement , some times seldom real things also happening , though inevitably.So be happy and enjoy your writing, anyway we know either any award or encomiums from Govt will not spur a writer to write better or more, but certainly appreciations and letters will inspire any writer to come out with more works like a stream that always flows effortlessly and these letters are like rain drops which in their own way enhance the flow although quite subtly .